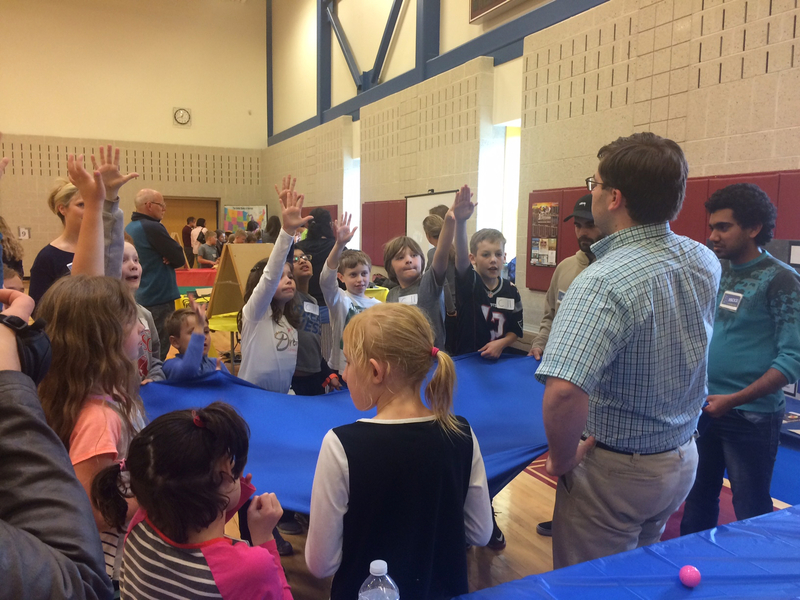 On Thursday, April 27, the Active Astronomy Roadshow traveled to Francis T. Bresnahan Elementary School in Newburyport to participate in their STEM Expo. 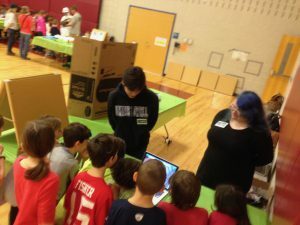 The Roadshow brought two teams, one leading a High Altitude Balloon activity and the other leading an activity on gravity and the Fabric of Space-Time. 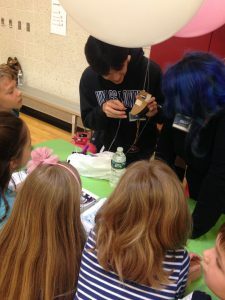 The High Altitude Team, consisting of Danae, Tsogt, and Dr. Laycock, had students looking at what high altitude balloons are used for and how to engineer develop different mechanisms for different purposes. Students got the chance to use a remote control release mechanism to release a camera that was recording them. Afterwards, the students got to watch the videos they made and see how they looked from high up in the gym. 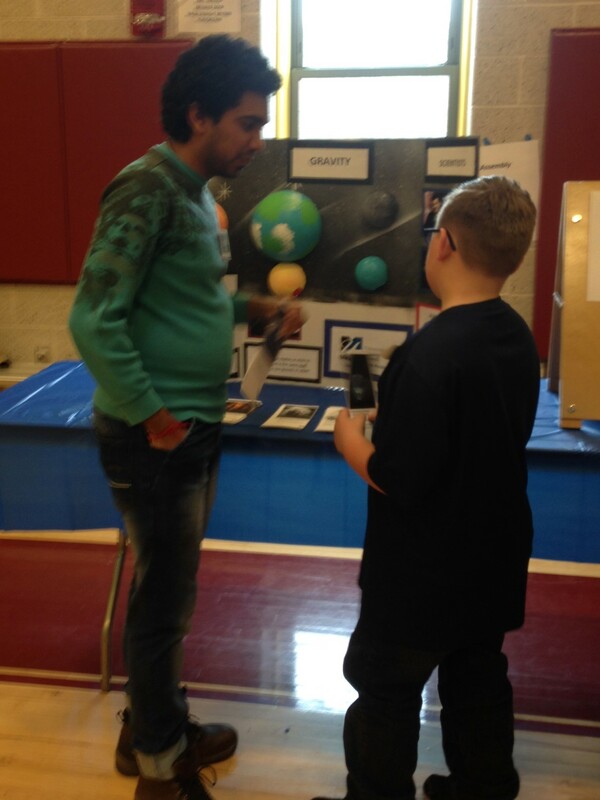 The Gravity Team, consisting of Tom, Alex, and Ruchit, explored the concept of gravity, orbits, and the bending of Space-Time. Students got the chance to look at how differing amounts of force alter orbits, how Space-Time is bent by massive objects, and about the scientist behind these ideas. Students rolled different size balls on a sheet of Lycra to try and orbit a rock and tried to figure out the different forces needed to get the best orbit. We were so impressed with the questions that the students were asking and how engaged they were with all the different activities. We hope to be back again next year!